Weekly Photo Challenge: sometimes I want to create a picture that’s even, symmetrical, and balanced in its use of lines and shapes. 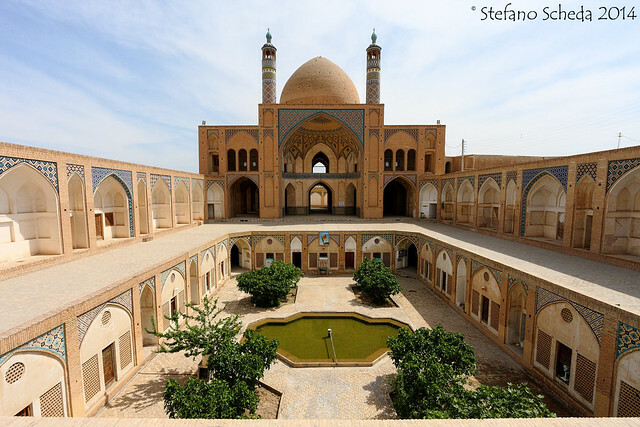 Agha Bozorg mosque – Kashan, Iran. There is an everlasting beauty in symmetri – it soothens the mind and the eye. This is a beauty. Amazing point of view :)! Thank you, Hoa. It’s shot from the main entrance to the mosque. Beautiful architecture and a beautiful shot! Those colors are marvelous, Stefano. And so is the shot. Thank you, Marion. Unfortunately the sky was quite washed-out.